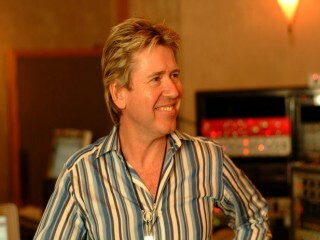 Steve Lillywhite is an English Grammy Award winning record producer. Since he began his career in 1977, Lillywhite has been credited for working on over 500 records and has collaborated with a variety of musicians including XTC, Siouxsie and the Banshees, Dave Matthews Band, U2, Peter Gabriel, Morrissey, The Psychedelic Furs, The Pogues and Phish. When an album creates a sensation with rock audiences and music critics, the band or musician tends to receive the credit. Quite often, however, many people behind the scenes craft the quality of the product. Steve Lillywhite has worked behind a string of great albums by various bands; some reporters have argued that he even shaped a definitive sound of 1980s new wave. In Trouser Press, Karen Schlosberg dubbed Lillywhite "a prime mover of punk and post-punk rock." The producer of some of the most successful albums from such internationally acclaimed artists as U2, the Talking Heads, and the Rolling Stones, and some of the most trend-setting albums by such new wave pioneers as Siouxsie and the Banshees, Ultravox, the Psychedelic Furs, and XTC, Lillywhite shaped several of the musical milestones of the 1980s. Lillywhite's recognition as a producer ironically conflicts with his view of a producer's function: "Production should be transparent so the band can stand out," he told Melody Maker's Paul Colbert in 1981. "I hope I get a different sound each time." In 1984 Lillywhite told Adam Sweeting of Melody Maker that his favorite part of being a producer is having listeners not be able to tell who produced the recording. Despite his desire for invisibility, Lillywhite has developed an identifiable and highly praised sound. Born in 1955, Lillywhite grew up just outside of London in Egham, England, in a very musical family. Both parents played instruments and encouraged all three of their children to do so as well. Lillywhite became involved in music himself--Schlosberg reported that "he 'fiddled about' with piano, guitar and bass, and played in school bands." His younger brother Adrian would go on to play in a fairly prominent band known as the Members; Lillywhite eventually ended up producing them. His own playing, however, would drop off as he became more and more drawn into the engineering aspect of studio work. Lillywhite started his career in the recording studio at age 16 at the bottom rung of the ladder as a tape operator at Phonogram's Marble Arch studio. In effect, a tape operator was a "tea boy"-- someone who ran to get tea and other necessities and indulgences for the musicians and engineers. Soon enough, however, he became an engineer himself. Summarizing his years with Phonogram, Lillywhite told Schlosberg, "It was a complete cross-section, which was great for me. One morning you'd be working with a 40-piece orchestra with strings; then that same afternoon you'd have a rock band with four blaring guitars. You got to know a lot about your job because it wasn't just one musical style." While Lillywhite had very little autonomy at Phonogram doing whatever work was required, the studio did offer a perk for its workers: on the weekends, employees could use the studios for their own projects. Lillywhite used them for his first forays into production, helping an unknown band then called Tiger Lily make demo tapes. The enterprise turned out to be a lucrative one. When Island Records signed a deal with the band--now Ultravox--on the strength of the demos, they also invited Lillywhite to help with the production. Since he was young and unknown, the label insisted that he collaborate with a "name" producer: Brian Eno, one of the most respected alternative musicians and producers of the era. Ultravox!, released in 1977, was Lillywhite's first production credit. Lillywhite continued to work with Island after the Ultravox debut, and was eventually offered a position as a producer with Island Artists. Although the position offered opportunity and credibility, he soon felt cramped by the affiliation; he and the label agreed to terminate the contract. "I was going out to all these punk clubs and meeting the bands," he recalled for Schlosberg. "I started working for these people, who started getting hit records--but none of them were for Island. I suddenly realized, well they're not really looking after my career. So ... I decided to branch out on my own." All in all, Lillywhite had spent two years with the label. He and a friend briefly tried to manage their own label, XS Records, but it never produced anything notable. Lillywhite has worked independently ever since, moving from label to label according to the location of an artist or a band. "This was just as punk was starting," Lillywhite told Schlosberg. "Punk was the first thing that really made my ears prick up. London in '77 was fantastic." Writing for Musician, Jon Pareles traced Lillywhite's "musical awakening" to this period--the height of London's "punk explosion." Lillywhite spent his free time "going to the clubs and seeing all the people," as he told Pareles. "Nobody had any money, and we were all living on floors, things like that. It was fun, but not something to go back to; you've got to grow up sometime." Lillywhite also made connections during these years that would serve him well later, as that "explosion" moved from underground clubs to recording studios. After Ultravox, Lillywhite's solid reputation in the recording industry came with the 1977 release of the Siouxsie and the Banshees single "Hong Kong Garden," which became a Top Ten hit. After producing the band's first album, The Peel Sessions, Lillywhite worked for his brother's band, the Members. That "got me in with Virgin," he told Sweeting. "Then Virgin offered me XTC." The solid foundation of Ultravox, Siouxsie, and XTC established Lillywhite as a key player in the postpunk alternative rock sound coalescing at the turn of the new decade. Lillywhite rode that wave into the 1980s, his name value rising as his production credits grew. By 1984, when Lillywhite wasn't yet 30, Sweeting could nonetheless describe his career as "that road paved with platinum." Lillywhite closed the 1970s with a call from Peter Gabriel, a former member of the art-rock band Genesis who went on to establish an impressive reputation as a solo artist. Gabriel wanted Lillywhite to handle the production of his third solo album. The faith placed in him by such an established artist demonstrated Lillywhite's credibility and desirability as a producer. Furthermore, as Colbert documented, it was "Gabriel's ... album that brought Lillywhite to the attention of a wider public audience." Lillywhite would later concede to Paula Parisi, writing for Billboard in 1986, that the album "was thought of as quite a milestone in terms of sound." Colbert, for example, expressed that excitement: "The instruments stood alone and spiky against a backdrop of live reverberant drums, shorn of cymbals. It was an ideal example of a clear production-- both in terms of sound and access to the artist and his songs." Lillywhite further intensified his reputation--and his association with a particular sound--with the smashing success of Boy, the debut album released in 1980 by the Irish rock band U2. Lillywhite has characterized the production of this nearly legendary album as especially inspired, rich with energy and experimentation. "Ideas would just flow," Lillywhite told Schlosberg. "I had a bicycle turned upside down; Bono and I would spin the wheels and hit the spokes with a knife. There were also bottles smashing all over the place. We were having a great time--just like little kids." The combination proved a powerful boon for both producer and band. Parisi asserted that "Lillywhite's spare but textured approach to capturing the group's sound is widely acknowledged as having been a major factor in establishing the band." Schlosberg wrote that the "full yet crisp, clean sound on ... Boy was almost an instrument in its own right." Since Boy entered the market surrounded by work with other alternative rock bands, including the Psychedelic Furs, Big Country, and the Thompson Twins, Lillywhite was becoming known for his sound, which also seemed definitive of new wave at the time. "Lillywhite has established a spacious, spare and crisp production technique all his own," Colbert declared. Pareles went into greater detail documenting Lillywhite's sound: "His records sound big but not bloated, weighty without being ponderous; even on mediocre songs, the sound insists that something important is happening. Lillywhite's trademark, now widely imitated," Pareles concluded, "is a mammoth drum sound." In 1984 Sweeting noted that the "triumvirate of U2, Big Country and Simple Minds has identified him more than he'd like with a certain rock sound." In an effort to remain true to his belief that a producer should not be what characterizes a band, Lillywhite generally refused to work with bands too regularly. "Until recently I haven't liked doing more than one album with a band.... The best a producer can be is a floating influence," he told Colbert. Lillywhite told Prisi that he didn't think it was "advisable for a producer to form a safe association with any one group. You become identified with a particular sound, and that can be limiting. You get predictable, and I don't think it benefits the band or the producer." Consequently, Lillywhite pushed himself to take on less typecast projects, the most notable of which were Joan Armatrading's Walk Under Ladders in 1981 and the Rolling Stones' Dirty Work in 1986. The former challenged him to expand into folk rock; the latter, into hard rock. Jon Pareles described the Armatrading album as Lillywhite's first "curveball." Parisi reported in Billboard that Lillywhite had "gone back to basics" with the Stones, opting for a "no-gimmicks production approach." In the second half of the decade, Lillywhite's work had evolved such that the sound was less identifiable; he was still, however, putting his name on recordings by highly successful musicians. He had an opportunity to work with the Talking Heads in 1987 and to produce lead singer David Byrne's solo album, Rei Momo, in 1988. He enhanced an Irish rock sound markedly different from that of U2 with the Pogues and singer Kirsty MacColl, whom he married in 1984. The early 1990s brought Bang! for World Party, for which Lillywhite received credit for helping Karl Wallinger's career. Rolling Stone's David Sprague wrote that "Steve Lillywhite can take credit for reigning in Wallinger's most glaring excesses. His laid-back production helps siphon off the pretense so that Bang! 's innate funkiness can glisten in the spotlight." The difference also reflected a general shift in Lillywhite's style, as Billboard's Marilyn Gillen noted when she wrote that "Steve Lillywhite doesn't do that drum thing anymore" in 1994. A similar quality would lend itself to Vauxhall and I, the 1994 solo release by Morrissey, the former lead singer of British art-rock band the Smiths. Consequently, although Lillywhite was no longer associated with the trademark Lillywhite sound, he seemed nonetheless to still have an identifiable voice. Possibly in a bid for that ever-evasive transparency, the producer announced in 1994 that he would tackle a wholly fresh challenge: an English country singer named Bo Walton. In 2002, Universal Music Group head Lucian Grainge invited him to become managing director. Lillywhite signed singer-songwriter Darius Danesh and executively produced his debut album Dive In, which spawned three Top 10 hits, and Mercury Records' first number one in eighteen years. He also signed Razorlight, and also produced Jason Mraz's Mr. A-Z. In September 2005 Lillywhite joined Columbia Records as a Senior Vice President of A&R. During his tenure he signed MGMT. He left the label at the end of 2006. Lillywhite collected consecutive Grammy Awards for Record of the Year with U2's "Beautiful Day" and "Walk On." In 2006, Lillywhite won three more Grammys: Producer of the Year (Non-Classical), Best Rock Album also with U2's How to Dismantle an Atomic Bomb; and a partial win for Album of the Year, also for How to Dismantle an Atomic Bomb. In late 2006 he began working with Chris Cornell on Carry On, his second solo album, which was released in June 2007.In November 2009, he began presenting a weekly radio show on East Village Radio called "The Lillywhite Sessions". On 25 May 2010, the official Oasis website announced that Lillywhite was working with Liam Gallagher, Gem Archer, Andy Bell and Chris Sharrock on material for their new band Beady Eye. View the full website biography of Steve Lillywhite.